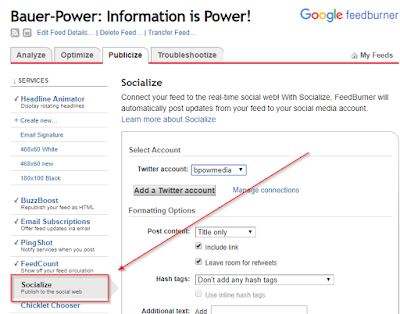 None of my Feedburner automatic Twitter post links have been working since March! I was in for a rude awakening today. Something I wish I would have realized sooner, but just figured it was working so I didn't bother checking on it... until today. 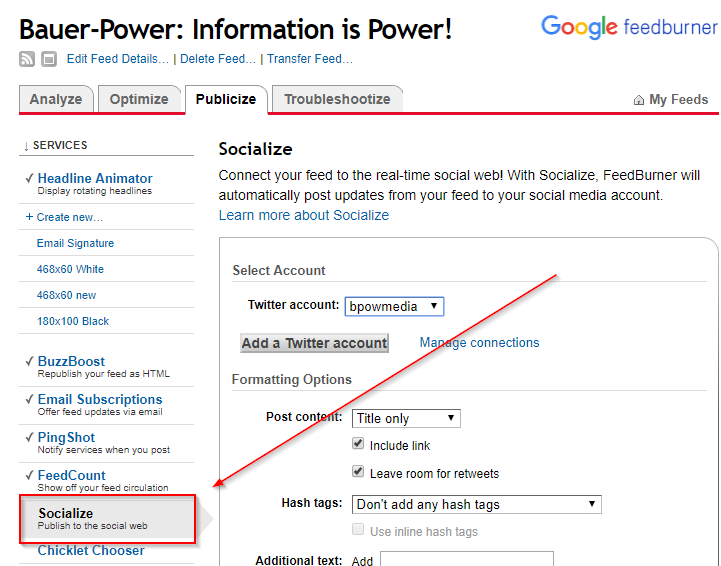 That is that the "Socialize" feature in Feedburner no longer works! I take that back, it still posts to Twitter just fine, but because it still uses goo.gl link shortening, the links don't work! If you are the developer of this app, ensure that your Dynamic Links domain is correctly configured and that the path component of this URL is valid. Starting April 13, 2018, anonymous users and users who have never created short links before today will not be able to create new short links via the goo.gl console. If you are looking to create new short links, we recommend you check out popular services like Bitly and Ow.ly as an alternative. If you have existing goo.gl short links, you can continue to use all features of goo.gl console for a period of one year, until March 30, 2019, when we will discontinue the console. You can manage all your short links and their analytics through the goo.gl console during this period. After March 30, 2019, all links will continue to redirect to the intended destination. Your existing short links will not be migrated to the Firebase console, however, you will be able to export your link information from the goo.gl console. Well, gee thanks Google. Considering that Feedburner is one of many Google's properties, one would think that they would have updated that platform to either use their new Firebase console, or to allow users to use another shortening service. Apparently that is too much to ask though. Now I'm forced to pay money to dlvr.it to autopost my blogs to my various social media accounts. At $10 a month, it's very reasonable. I prefer free, but if I'm forced to, I suppose I can fork over the dough for something that works. Did this happen to you too? What are you using to auto-post to social media? Let us know in the comments. How to Choose A Reliable Iphone Repair Center?